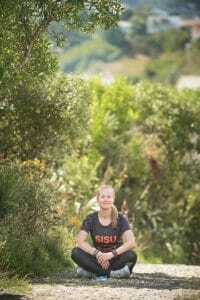 In addition to her research, Lahti has also explored the concept of sisu in her personal life by running the length of New Zealand in 50 days. April 8, 2019 – If you ask Finns about what defines Finnishness, the word sisu is sure to come up–even if they can’t always put it into words. In 1940, during World War II, The New York Times declared sisu to be ‘the word that explains Finland.’ Sisu has traditionally been elusive and poorly defined but a new study from Aalto University is the first to break down the cultural construct in a systematic way to describe a universal phenomenon of hidden energy in the human system. In her study, Lahti analysed more than 1000 responses from Finns and others knowledgeable about sisu on what the concept means–as well as whether it is inherently a good thing. One of the most prominent aspects apparent in the data: extraordinary perseverance, in other words, an individual’s ability to surpass preconceived limitations, either mentally or physically, by accessing stored-up energy reserves. Lahti also found the concept to be marked in the responses by a consistent courageous approach to taking action against slim odds, in some cases appearing to the respondents almost as a ‘magic’ source of power that can help pull through tremendous challenges, whether self-selected like an ultra-run or something unexpected like a health struggle. It was apparent from the data that too much sisu can result in burnout, exhaustion, disconnection and even create an attitude of mercilessness as the individual imposes his or her own harsh standards on others. It seems that sisu is neither good nor bad, but a tool you must learn to master. While the public discourse at large glorifies mental strength and perpetuates a ‘faster, higher and stronger’ mentality, the answers in the data displayed an alternative view. ‘[Too much sisu leads to] denying the realities of life, as well as the limits of human strength, therefore denying the very core of our humanity in ourselves and others,’ one respondent wrote. As an action researcher, Lahti sees the study results as an opportunity to engage in a broader societal conversation on how we might improve the quality of human life through greater self-understanding that includes the sisu construct. ‘Finland is an interesting case,’ she says. ‘We’ve again been named world’s happiest country and in global terms we have an excellent social welfare system, but at the same time we are a country that, also, struggles with things like suicide, depression and domestic violence.’ With global conversations on burnout and the tolls of modern life, understanding the extent and limits of human strength through new cultural contexts, like Finland, can contribute to a roadmap toward a more harmonious way of living. Lahti has also recently explored sisu in her personal life by running the length of New Zealand in 50-days as part of her non-profit that seeks to build cultures of zero violence.